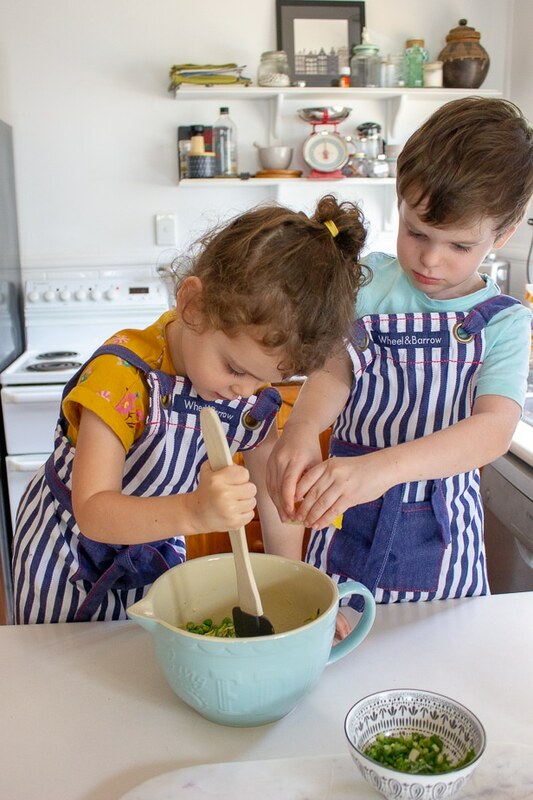 I always always forget how much the twins love these Zucchini and Pea Fritters. To the point where they gobble their share and mine. But I really can’t complain because there really is nothing better than your kids loving a veggie packed lunch. 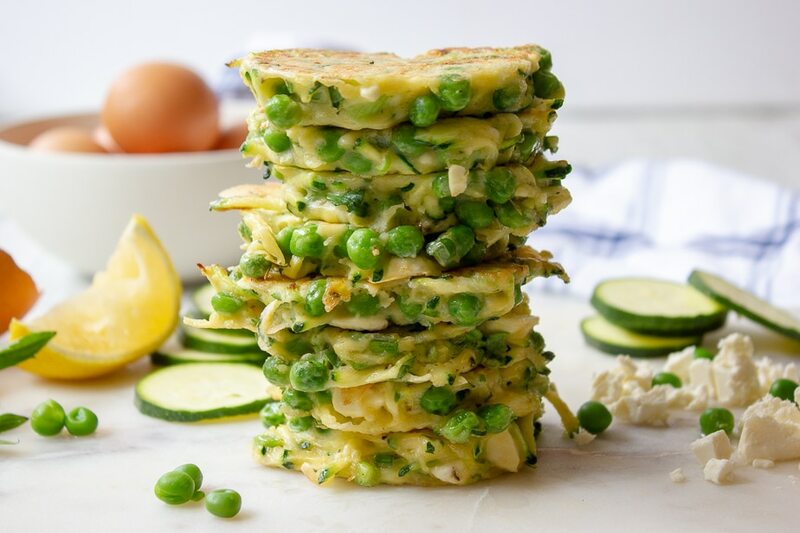 The twins and I really enjoyed making these Zucchini and Pea Fritters together and we used our new Magimix Cook Expert that we have been gifted to try. We used the food processor grater attachment for the zucchini and it grated it brilliantly. 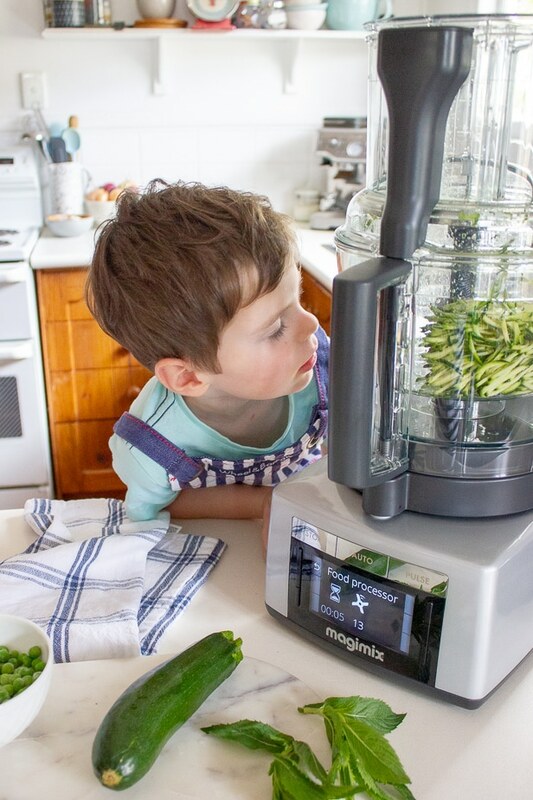 Mr 3 especially wanted to be in charge of helping with the Magimix and he loved seeing the Magimix in action. 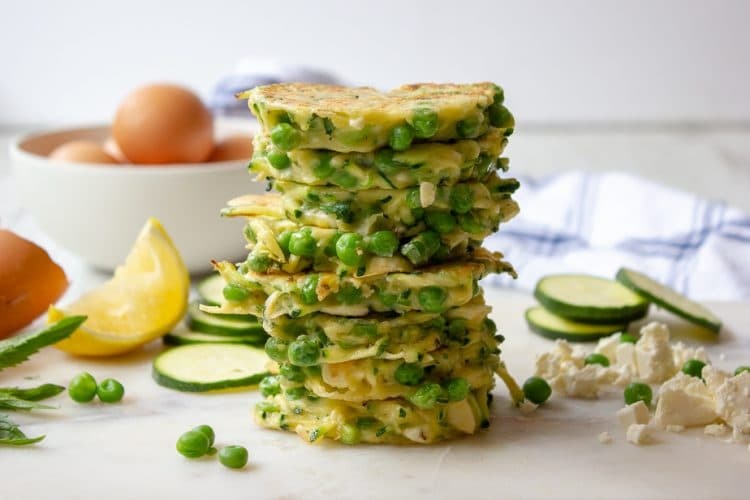 These Zucchini and Pea Fritters are moist and light and you can easily double or triple the recipe and add a salad for a more substantial dinner. I love to serve these fritters with lemon wedges on the side. You also don’t have to put the peas in them just substitute for another zucchini. If you are worried your kids wouldn’t like the feta you could always change it to the same amount of parmesan or cheddar cheese. Mr 3 squeezes the lemon into the bowl while Miss 3 is in charge of stirring. 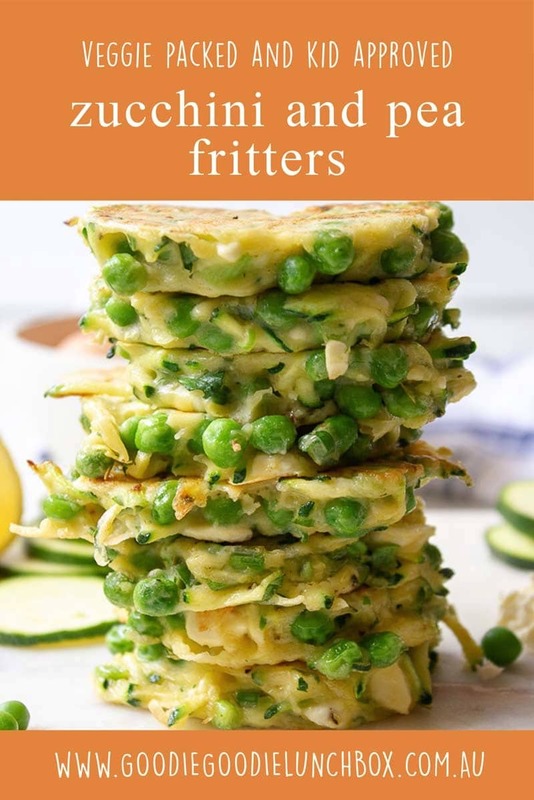 All my kiddies lived on these fritters when they were weaning. And the best part was that they were a meal we all loved, it’s so nice to just make one meal for all isn’t it? Even Mr 7 loved these before he started being a bit of a picky pants. If you love the sound of these you will also love my delicious Zucchini Pea and Ricotta Slice or why not try a sweet zucchini treat with these Apple Zucchini Muffins with No Added Sugar. These light Zucchini and Pea Fritters are full of flavour and are a fantastic quick and easy lunch or snack. To squeeze the liquid out of the zucchini, grate the zucchini onto a clean dry tea towel and then roll tightly and squeeze over the sink until as much liquid is removed as possible. 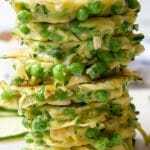 I hope that you enjoy this delicious recipe for Zucchini and Pea Fritters and that they are gobbled down by your littles. Remember to share with me your pictures on Instagram or Facebook – I love to see my recipes being enjoyed!